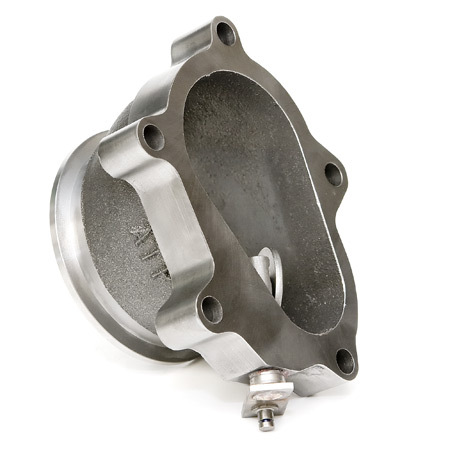 Wastegate, Ultimate internal swingvalve, 3" Vband, bolts up to T3 5 bolt (ford style) exhaust housing, super higher flowing design for high HP such as European Cosworth engines requiring very efficient internal wastegate design. Easy to implement on the 5 bolt T3 (Ford style universal) exhaust housing option available on many T and GT series turbos. Overall height from face of flange to face of flange is 2-5/16" (59mm).